Successfully saved The Simplest Ombrè Citrus Cream Tart to your Calendar. You can also save the ingredients to your Grocery List. 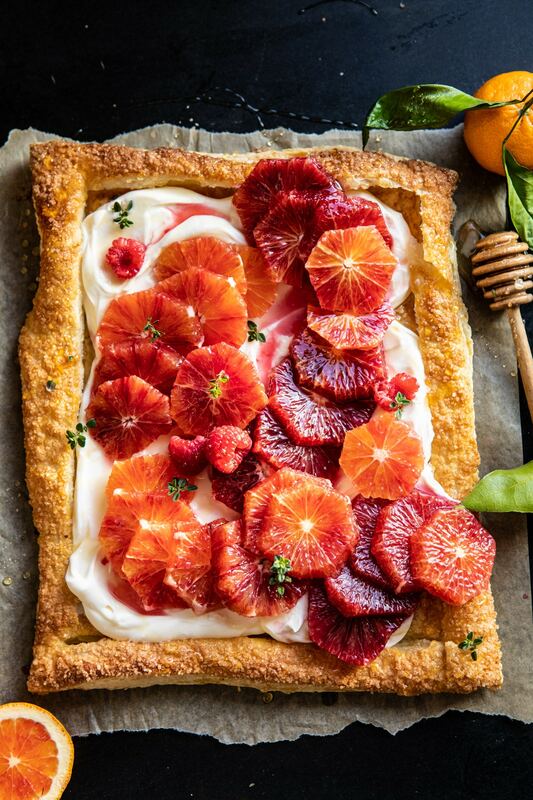 Buttery flaky puff pastry, layered with whipped greek yogurt, topped with ombrè colored winter citrus, and drizzled with sweet honey for that extra special touch. Made just a touch healthier with whipped greek yogurt and a light drizzle of honey for sweetness!